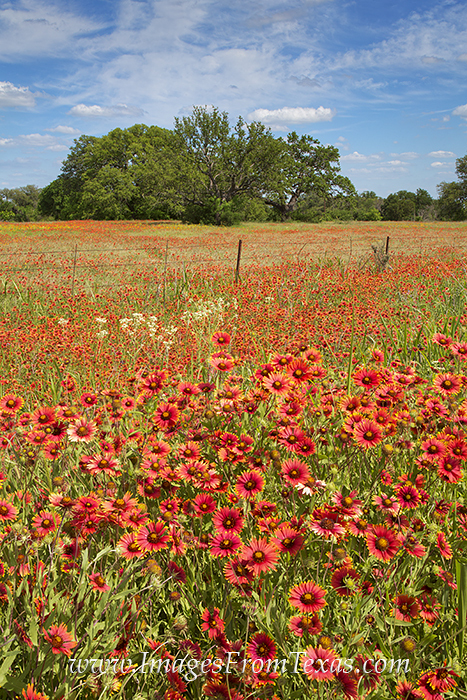 Red firewheels - one of the most colorful Texas wildflowers, spread across a field in Llano Country on the northern edge of the Hill Country. The blue skies overhead made for a nice addition to the shades of red and orange in front of me. Photo © copyright by Rob Greebon.